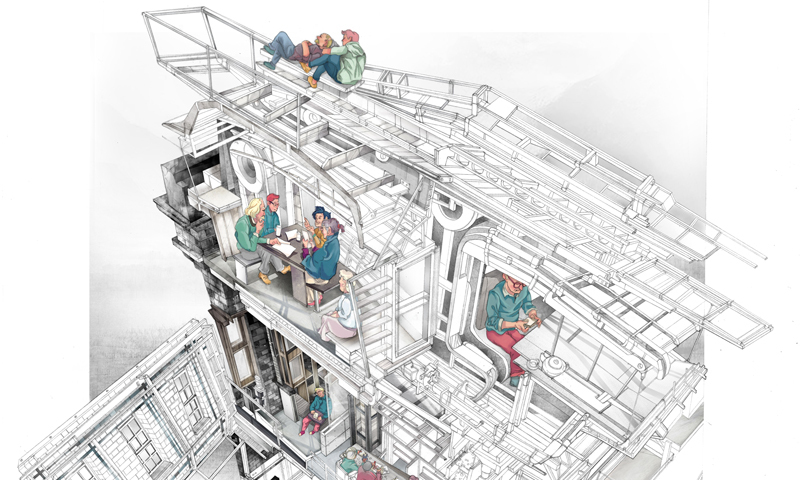 A drawing by Architecture MArch student Jerome Ng is currently being exhibited in The Architecture Drawing Prize Exhibition at Sir John Soane's Museum in London. Jerome's winning drawing ‘Memento Mori: A Peckham Hospice Care Home’ is shown alongside some of the shortlisted submissions from the World Architecture Festival's Architecture Drawing Prize. The Architecture Drawing Prize recognises the continued importance of hand drawing, as well as the positive addition of digital renderings, and was judged based on each submission's technical skill, originality and ability to convey a conceptual or real architectural idea. The Architecture Drawing Prize exhibition is open to the public until 14 April 2018.